While Kentucky may be the state you most closely associate with Southern spirits, there's much more to our great region than bourbon. Tennessee, of course, is home to many great whiskey distilleries, and the Charleston area is now practically a cocktail boomtown. Further west, in Texas, you'll find distilleries crafting flavor like no other. Read on for a taste of Texas' best distilleries, plus a few cocktail recipes to prove it. Does Texas have the country's best cocktails? A decade ago, few people had heard of any spirits being made in Texas. Just a handful of products were available in the Lone Star state in 2007, though Austin-based successes like Tito’s Handmade Vodka and Paula’s Texas Orange liqueur showed promise. Both spirits took a pragmatic approach; vodka is the best-selling spirit in the United States, and in the case of her somewhat esoteric liqueur, Paula Angerstein was sure she had an instant, margarita-friendly hit. The second wave of producers appeared in the late 2000s, and many opted for more inventive spirits. Fueled by Texan pride, brown spirits produced by newcomers Balcones of Waco, and Garrison Brothers of Hye, made a splash with local collectors, even in limited production. Rather than emulate bluegrass bourbons, Balcones distillery founder Chip Tate produced three signature whiskies: a single malt called “1 Texas,” oak-smoked “Brimstone” whiskey and a “Baby Blue,” distilled from roasted blue corn. While Tate has since left Balcones to form his own venture, his success there brought critical acclaim and helped fuel a surge of interest in craft spirits. Of course, the craft spirit boom isn’t unique to Texas. Fortune magazine estimated a 1,540% increase in the number of U.S. craft distillers from 2005 to 2015. 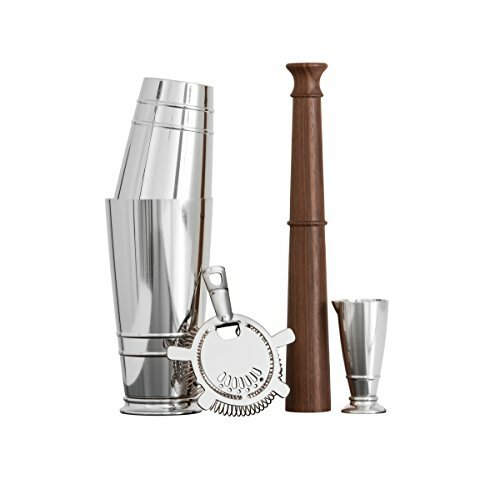 But a renewed interest in cocktails in Texas, combined with the state’s well-known love for bold flavors, led to a new generation of daring, Lone-Star-State-made spirits that rank among the nation’s best. Texas craft distilleries are still in David vs. Goliath mode – some are popular but, with the possible exception of Tito’s, none can yet be considered giants. Most craft brands rely on local enthusiasts and word-of-mouth to keep the lights on. A creative business strategy also helps, as Austin’s Genius Liquids can attest. The founders, two friends from St. Edward’s University who work in technology, launched the lavender and citrus Genius Gin to critical acclaim after finishing their master’s degrees and deciding to try their hands at entrepreneurship. To spur growth, Genius Liquids also produced a complementary product, Old Highborn Gin, meant specifically for bar use. The group plans to launch a Highborn vodka in the coming year and has also introduced a limited-batch oaked gin, and sotol, a distilled spirit similar to tequila that is produced primarily in northern Mexico. To sample Old Highborn’s versatility, Groener recommends trying the Canopy from Austin bar The Townsend (see the recipe below). Revolution’s partners used classic botanicals like pink peppercorn, along with accents like lavender and grapefruit to express a bit of Texan terroir. Revolution has collaborated with Austin breweries on projects like fruited liquors. They’ve also developed a coffee liqueur called Cafecito, which uses local favorite Cuvee Coffee. The liqueur is coffee-forward, with less of a syrupy profile than the big brands, making it ideal to drink with brown spirits. To showcase the uniqueness of the company's spirits, we've chosen two cocktail recipes (see below). While the gin-based Cardinale is a standard suitable for any occasion, Shilling says that his favorite application of the company’s collaborative efforts is the Revolver, a simple two-to-one ratio of bourbon (or rye) to liqueur, with a dash of bitters. As for the name, there’s a great story: Martine is the name of a girl with whom Kelleher had a teenage romance while traveling by ship — the two lost touch after the voyage. Kelleher laughs about the origin. “Flowers in the backyard and lost romance all built to this idea!” he said. Martine’s makeup is complex. An emulsion of botanicals, including vanilla bean and nectarine, are steeped in spirits and rested before being bottled. 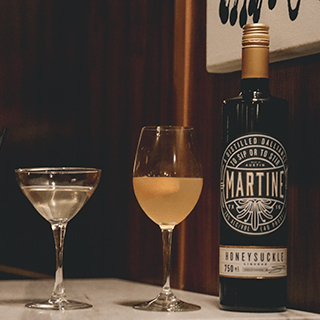 Kelleher’s current favorite drink is the namesake Martine cocktail, a simple one-to-four-parts ratio of Martine to New Zealand or Sancerre sauvignon blanc, with a lemon twist. For those who prefer something boozier, he recommends the Martine Laveau cocktail (see the recipe below). Combine the gin, bitters, lime juice, simple syrup and creme de menthe in a cocktail shaker with ice. Shake until well incorporated and chilled. 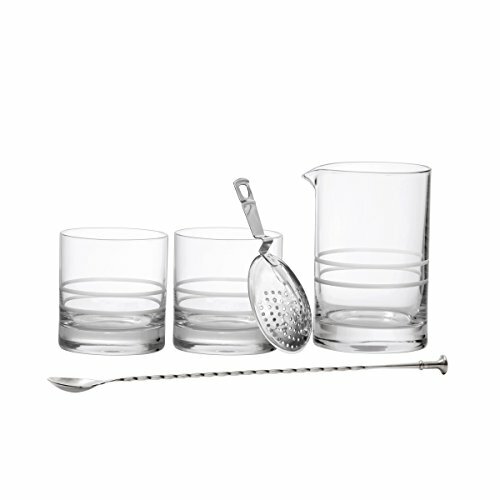 Strain into a coupe glass and garnish with the rosemary. Serve. Combine the bourbon, Cafecito and bitters in a mixing glass with ice. Using a bar spoon, stir ingredients until chilled. 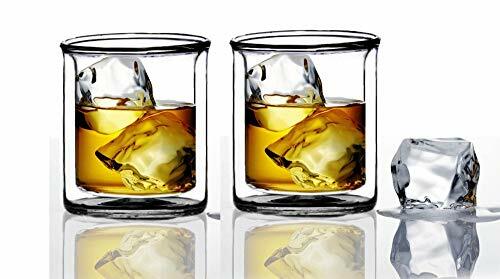 Strain into a Old Fashioned glass over a large ice cube. Garnish with the orange twist. Serve. Combine the gin, Campari and vermouth in a mixing glass with ice. Using a bar spoon, stir ingredients until chilled. Strain into a coupe and garnish with the lemon twist. Serve. Fill an Old Fashioned glass with ice and add a small amount of Herbsaint. In a cocktail mixing glass filled with ice, combine the rye, Martine and bitters. Stir until well-chilled. 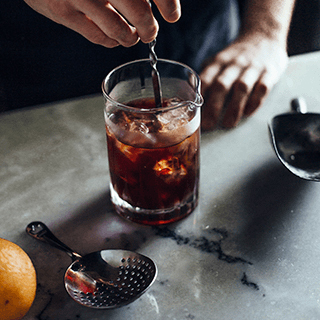 Toss out the Herbsaint and ice in the Old Fashioned glass and add one large ice cube. Strain the drink mixture out over the ice cube in the Old Fashioned glass. Garnish with the lemon twist and serve.